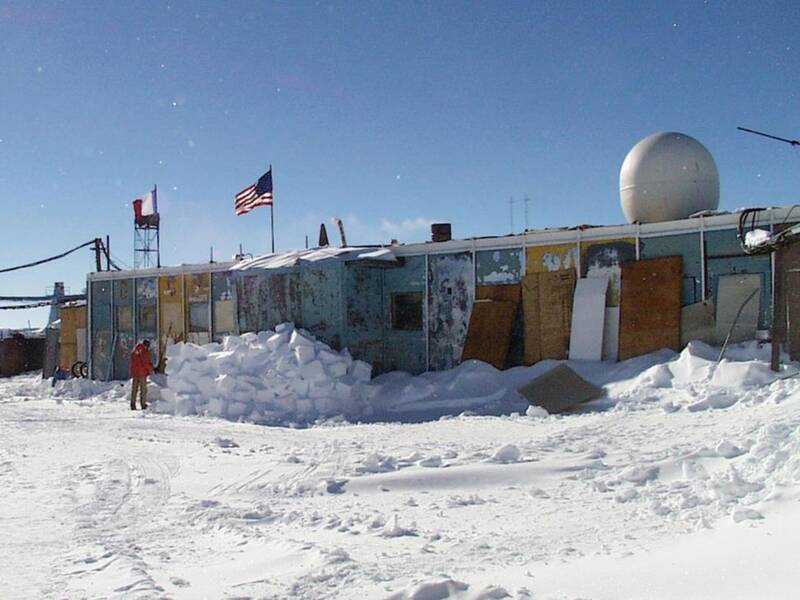 Russia's Vostok Station, shown in this image from the 2000-2001 field season, is the center of activity for studies of Lake Vostok, a subglacial body of water in Antarctica. The lake, buried under more than 2 miles (3.7 kilometers) of Antarctic ice, has been seen as an earthly analog for ice-covered seas on such worlds as Europa and Enceladus. It's thought to have been cut off from the outside world for as long as 15 million years. But the latest results, reported in the open-access journal PLOS ONE, suggest that the lake isn't as sterile or otherworldly as some scientists might have thought. More than 3,500 different DNA sequences were identified in samples extracted from layers of ice that have built up just above the surface of the lake. About 95 percent of them were associated with types of bacteria, 5 percent of them had the hallmarks of more complex organisms known as eukaryotes, and two of the sequences were linked to a distinct class of one-celled organisms called archaea. The sequences included close matches for various types of fungi as well as arthropods, springtails, water fleas and a mollusk. What's more, some of the bacteria from the sample are typically found in fish guts — suggesting that the fish they came from may be swimming around in the lake. Lake Vostok, which is 800 miles (1,300 kilometers) from the South Pole, is thought to have been open to the air and surrounded by a forested ecosystem during the warmer climate that existed more than 35 million years ago. "At that time, the lake (which might have been a marine bay) probably contained a complex network of organisms," the researchers behind the PLOS ONE study suggest. They say life forms could have been transported into the lake from the atmosphere until it was sealed up by ice, sometime around 15 million years ago. Today, the buried lake measures 160 miles (250 kilometers) in length and 30 miles (50 kilometers) in width. Its depth is thought to average about a quarter of a mile (344 meters). "While the current conditions are different than earlier in its history, the lake seems to have maintained a surprisingly diverse community of organisms," the researchers wrote. "These organisms may have slowly adapted to the changing conditions in Lake Vostok during the past 15-35 million years as the lake converted from a terrestrial system to a subglacial system." A significant number of the sequences were linked to organisms that live around deep-sea hydrothermal vents, suggesting that such features exist at the bottom of Lake Vostok as well. "Hydrothermal vents could provide sources of energy and nutrients vital for organisms living in the lake," the researchers said. 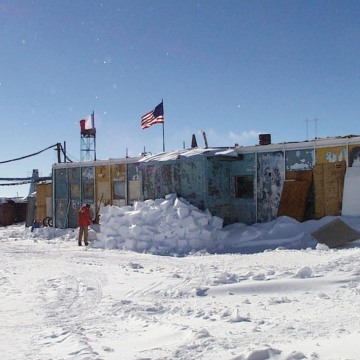 Earlier this year, some reports suggested that a novel type of bacteria had been found in Lake Vostok water samples, but those findings were later attributed instead to contamination. The researchers behind the PLOS ONE study said they took pains to guard against contamination. They noted that the wide array of DNA sequences was consistent with what could be expected from a subglacial lake, and that more organisms were detected in the samples taken closer to the lake surface than in the samples from above. Update for 7:30 p.m. ET July 7: One of the authors of the paper, Scott Rogers of Bowling Green State University, provided detailed answers to a couple of questions I had about the research, and I'm passing along those answers in the comment section. To summarize: The researchers focused on the DNA sequences they could recognize, and not the ones that they couldn't. But that doesn't necessarily mean the unrecognized sequences are exotic forms of life. Also, it's possible that life forms could have gotten into Lake Vostok during the past 15 million years. 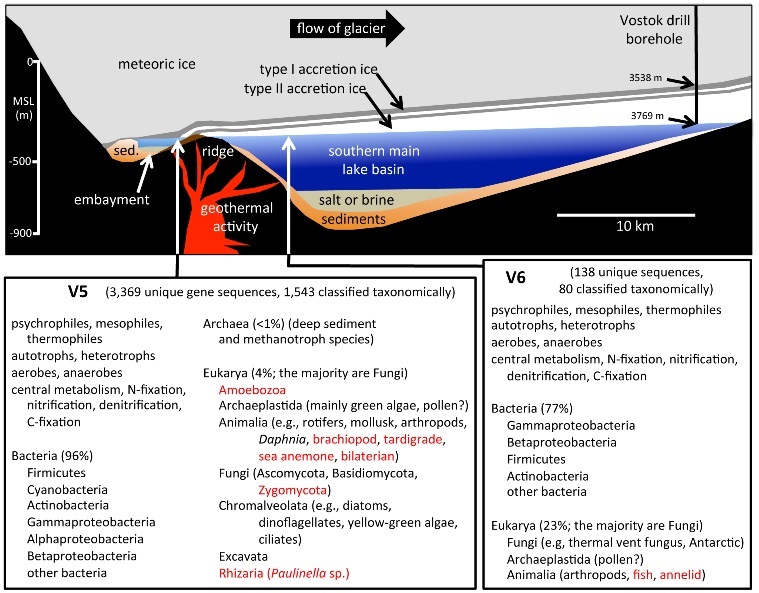 This graphic shows which kinds of organisms were found at two sampling sites in the ice that built up just above Lake Vostok, labeled V5 and V6. Click here for a larger version of the graphic. 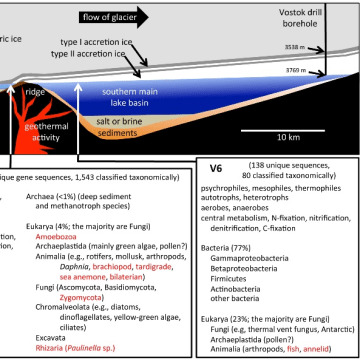 The authors of "Subglacial Lake Vostok (Antarctica) Accretion Ice Contains a Diverse Set of Sequences from Aquatic, Marine and Sediment-Inhabiting Bacteria and Eukarya" are Yury M. Shtarkman, Zeynep A. Kocer, Robyn Edgar, Ram S. Veerapaneni, Tom D'Elia, Paul F. Morris and Scott O. Rogers. Tip o' the log to Carl Zimmer and Elise Andrew. Alan Boyle is NBCNews.com's science editor. Connect with the Cosmic Log community by "liking" theNBC News Science Facebook page, following @b0yle on Twitter and adding +Alan Boyle to your Google+ presence. To keep up with Cosmic Log as well as NBCNews.com's other stories about science and space, sign up for the Tech & Science newsletter, delivered to your email in-box every weekday. You can also check out "The Case for Pluto," my book about the controversial dwarf planet and the search for new worlds.